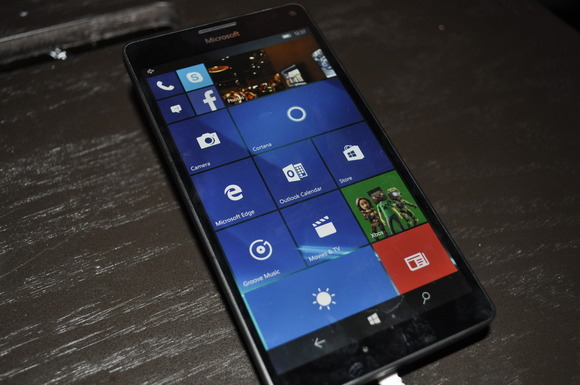 Microsoft is going to announce Windows 10 Mobile officially for existing Lumia tomorrow, yes you heard it right. If the new rumor is genuine, Microsoft will officially announce Windows 10 Mobile for older Lumia phones tomorrow (March 14) at USA time. A Chinese user has posted the above screenshot on one of the popular Chinese website, ITHome (Forum). 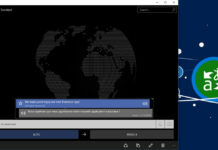 The screenshot shows an email from Microsoft which mentions that the Redmond giant will officially announce Windows 10 Mobile in a blog post on March 14th (USA Time). 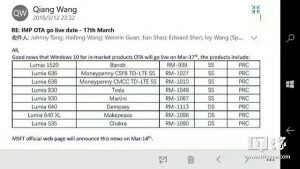 According to the report, Windows 10 will begin rolling out to the Lumia 1520, Lumia 636, Lumia 638, Lumia 830, Lumia 930, Lumia 640, Lumia 640 XL and the Lumia 535 in China starting 17th March. 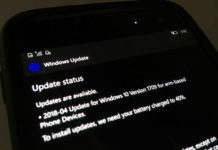 The rumor seems to be legit as Vodafone Italy is also expected start rolling out Windows 10 Mobile for selected Lumias within few days, possibly this week. However, keep in mind that this is just a rumor and it could be fake or Microsoft can change their plans anytime without any prior notice. 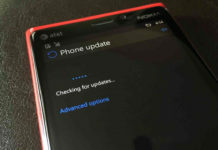 We will keep you up-to-date with Windows 10 for phones release date!! Off course. Carriers rolls out update latter.